Out of stock since Friday, 29 January 2016. Due back soon. With a luxurious Merino wool under wide weight bearing area, this swan-neck Dressage Square from LeMieux has a clear spine which relieves pressure, allows air flow and improves fit. The reinforced girth area prevents staining and wear. 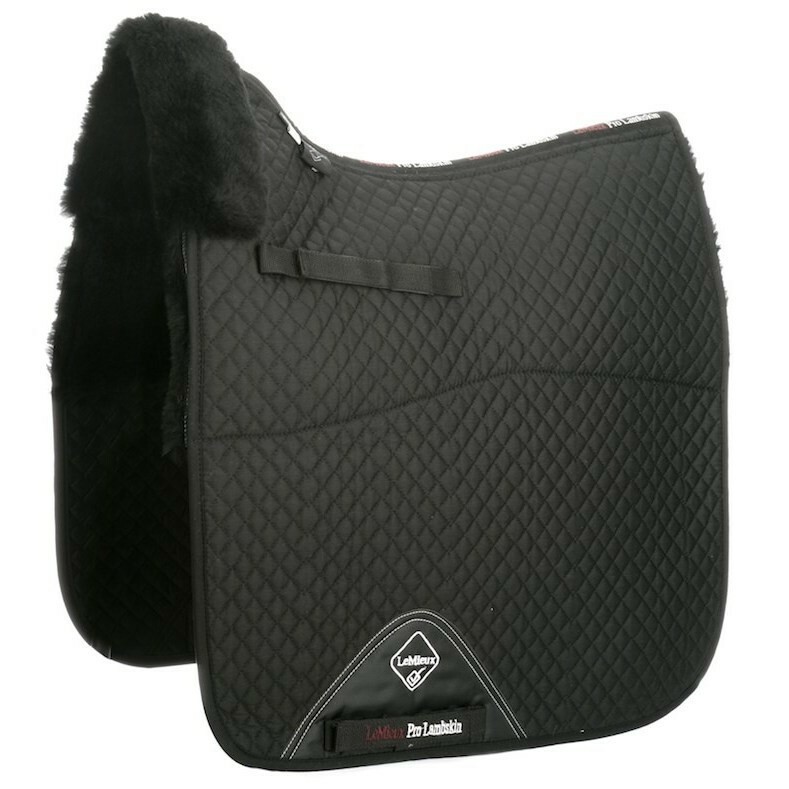 With double velcro straps for easy fitting, this Lambskin Half Lined Dressage Square is an excellent choice for competition use, with space for numbers or logos. Full size is 17 - 18.5 inch. 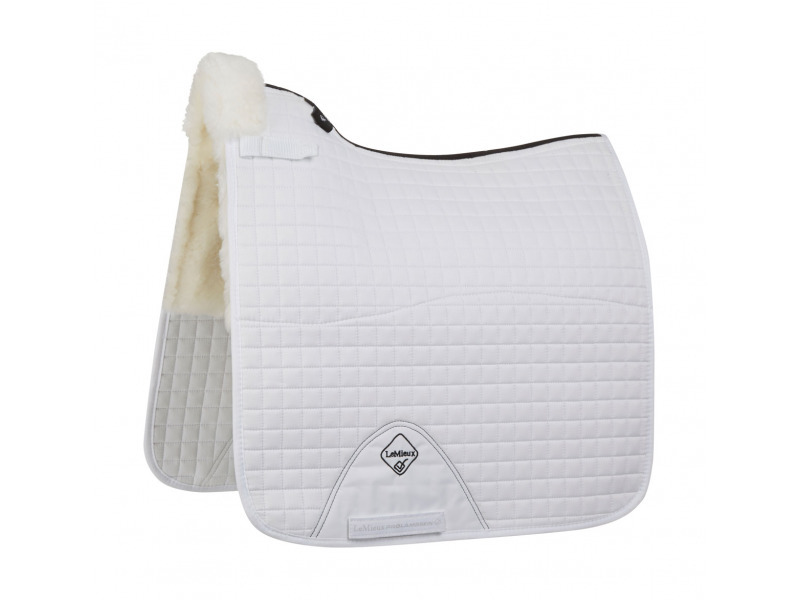 There are currently no questions for LeMieux Lambskin Half Lined Dressage Square - be the first to ask one!